In 1891 Hubert Bridge was 7 and living at 3 Devonshire place, Prestwich with his parents Alfred and Jane and twin younger sisters Florence & Issie aged 5, and domestic servant Ellen Howett aged 24. Hubert Bridge became a partner of Joseph Bridge & Company. Joseph Bridge was his Uncle. 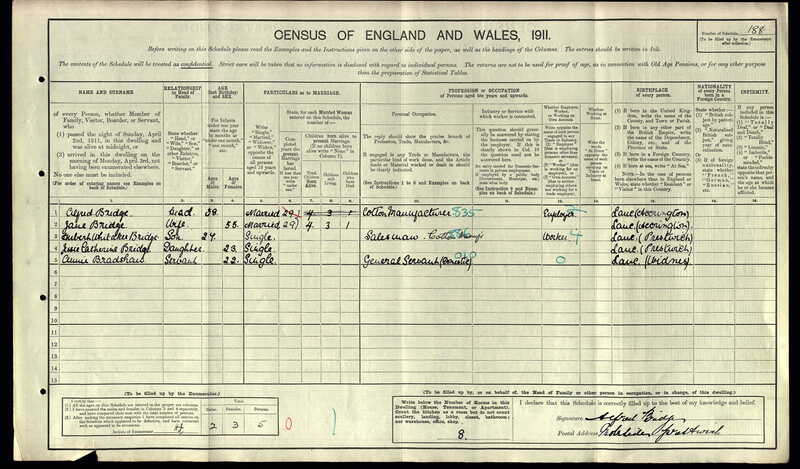 In the 1939 Register, he was living on Glebelands Road, Prestwich. Smith solicitor. Effects £82901 2s. 6d.